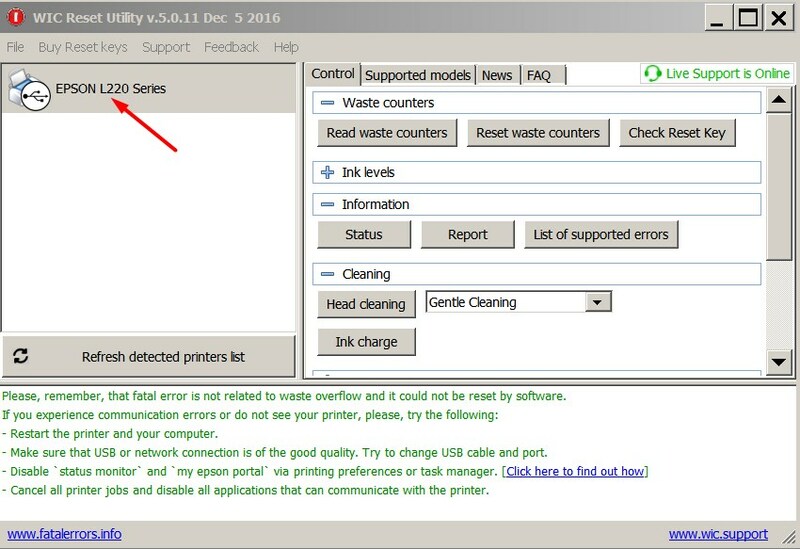 How to reset waste ink pad counters in Epson Printers by Yourself. | | WIC Reset Utility. 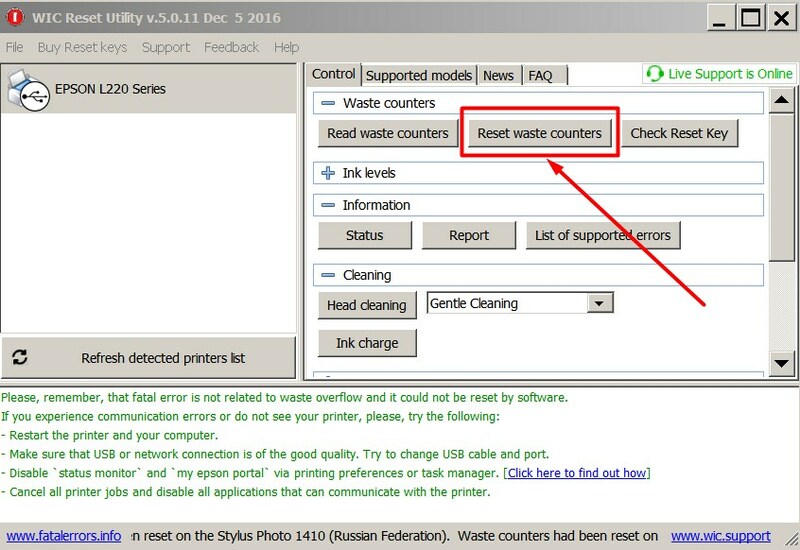 Reset the Waste Ink Pad Counters by WIC. 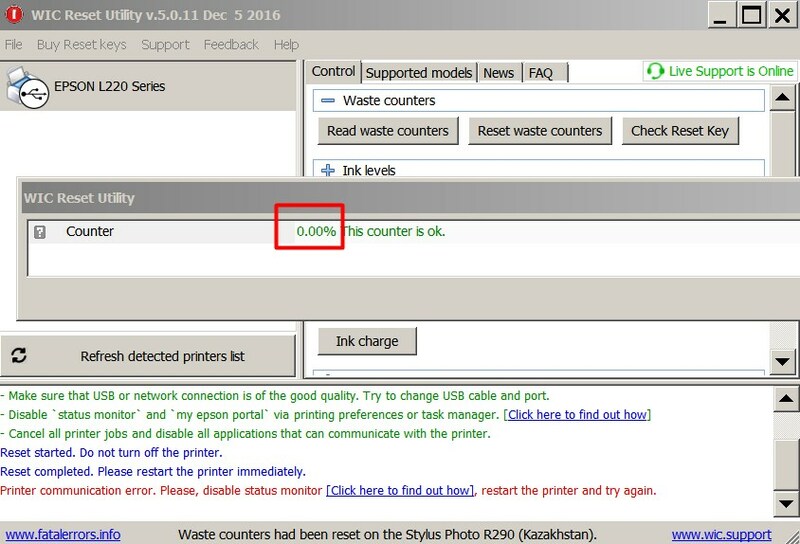 How to Reset Waste Ink Counters in Epson inkjet printers in 20 seconds! 1. Download latest WIC version V5.0.16 or higher (available for Windows, MAC OS, Linux). 2. 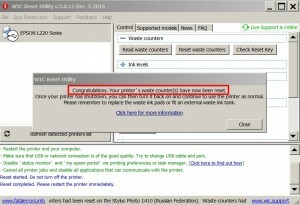 Connect the printer by USB or WiFi to Your PC. 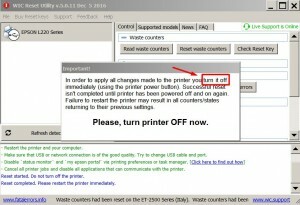 Disconnect all other printers. 3. 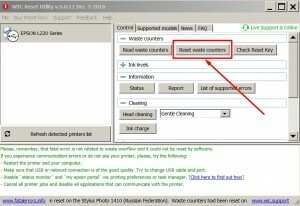 Run WIC Reset Utility. 4. 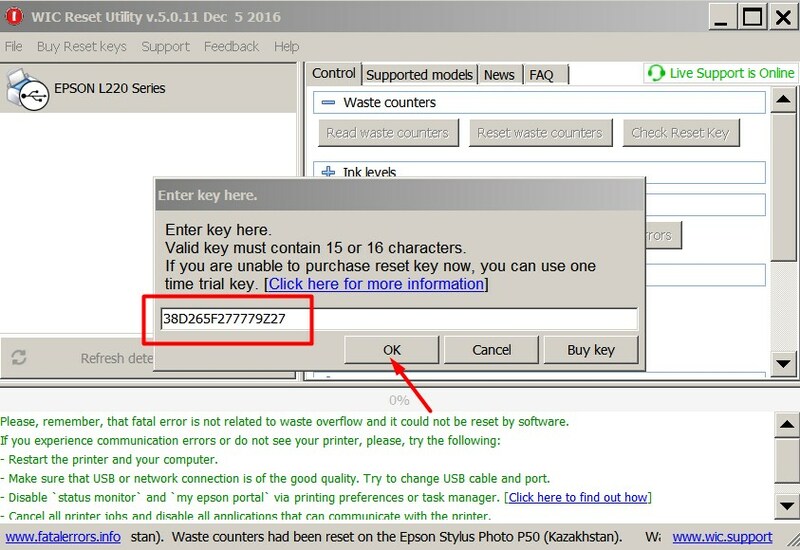 Click on RESET WASTE COUNTER button. 5. 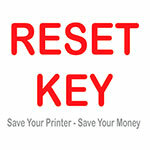 Enter Reset Key (Buy Full Reset Key) or Trial Reset Key (enter TRIAL). 6. Wait untill WIC resets the counters. 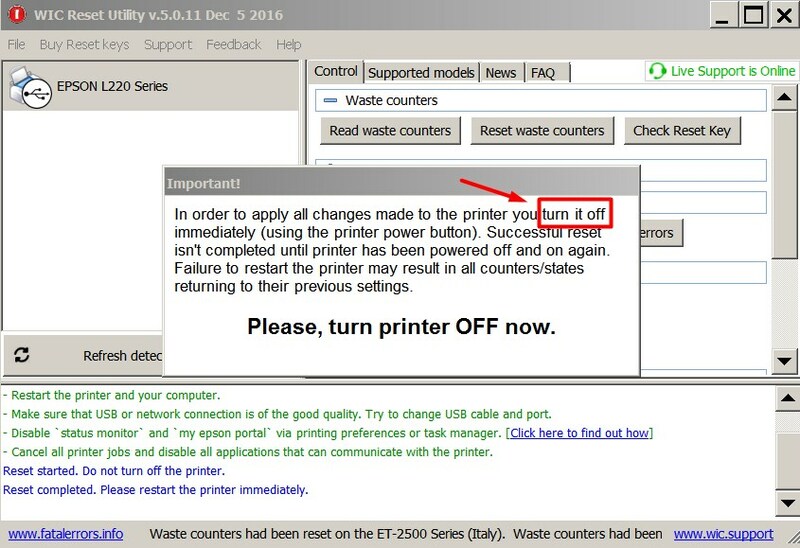 Then You have to switch OFF the printer! 7. You’ll see congratulations message. 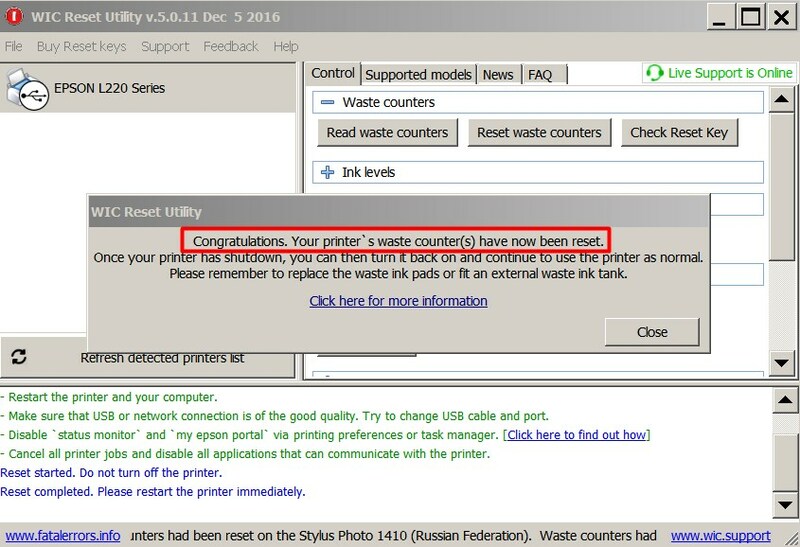 Waste Ink Counter has been reset now. 8. 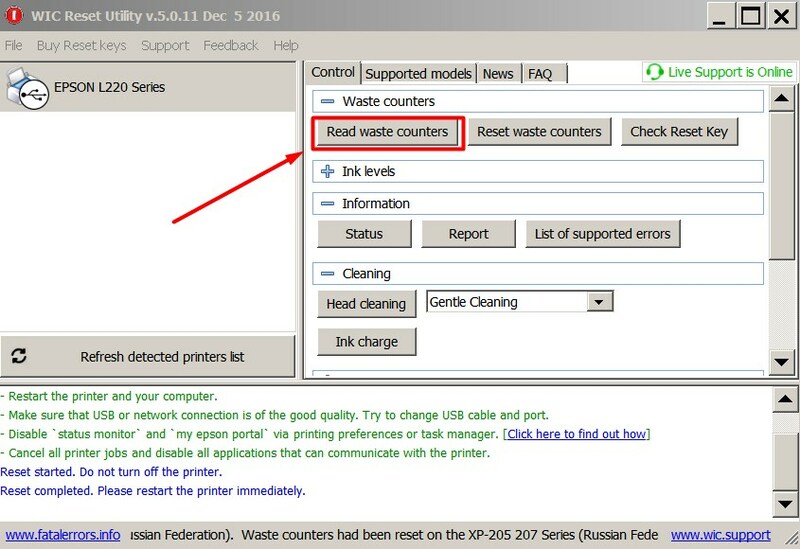 You can check waste ink counters values by yourself any moment. 9. You can see now counters is 0% – that means it has been reset now. 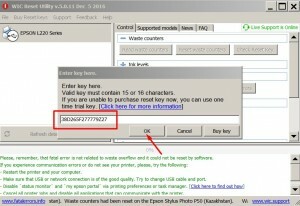 « Que es el software WIC Reset Utility?